mudgenie wrote: If we skip ahead using LPs, can we avoid the glitch and get the hairstyles, since this adds more time? I really wouldn't use LPs just to avoid the glitch. It really looks like it was cause by time travelling or, as AkshayaHH said, changing the time zone to get the event sooner. No one has said on Facebook that they have the glitch since the quest made it to all time zones. I used LPs to skip the days and to make some of the tasks shorter. I let days 5 and 6 complete like normal (skipped the waiting in between the days) and had no problem getting the last set of hairstyles. I will switch to my phone to post pics I found that show what can happen and what to look out for but I am going to say I am 100% sure that if you don't change your time zones you are in the clear! And then this is what would happen on days 5 and 6. The area where it shows the reward is blank and there is no timer. If the timer is showing for every goal and (on days 1-4) you can scroll to the right to get the pics on the bottom to change between what's offered for the whole quest and what will be the reward for that set of days then you are okay. Well, my game is ok so far. I haven't time jumped using time zones in quite a while and I never do it when there are quests coming up. I remember a post a long time ago of someone who had time jumped and had skipped over the start of the quest and never did get that quest. They were pretty sad about that and I doubt if the Fire monkeys would help you out when you were messing with your game that way. You would be out of luck. Throughout this update the Time Zone has been of by +13 hours in all my 4 games. It's not possible to exceed that number of hours, and therefore will not go to a new date. It has suited me better that the quests have started in the middle of the evening instead of middle of the morning when I'm at work and are unable to start the quests at that time, and are unable to play through the day. It has not resulted in any problems. All quests have progressed as they should. I'm done with the Styles of Time event and got all hair styles. I already finished this quest by using LPs and it's fine. I just keep getting notifications to continue the quest. I just had a little glitch of my own. BEWARE RESETTING during this quest, unless you had saved to another device. I made a mistake placing trees and messed up the original tree placement. I thought, I'll just reset. I checked and I had just reset an hour ago so it should be good. Not. After I reset, my character that had been working on the quest for about 6 hours was just standing there and hadn't even started! Luckily, I had saved one hour ago on another device so I used that device, saved that to the cloud and got my progress back again. Whew. That would have cost me 6 LPs to get my progress back if I hadn't saved to another device. Question, on day 4 it says Make the Special Recipe. What is that going to be made on? Just a regular stove or something with the wizard stuff? It's probably an odd question since it's probably just the stove, but I'm just making sure ahead of time. bloodredroses01 wrote: Rosie take it from someone who used to be very anti-cloud-save it really is a very useful tool for smoother game play. I never used to use the actual cloud-save but just the 'save' you get when you collect from the party boat or visiting other towns. Which was fine because I also never did a uninstall/reinstall either. This summer I decided to start saving to the cloud during quests and I'm very glad I did because my game went belly up after completing the Night of the Candy Monsters quest. I fought the game and my Gen1 IPad for over a month before getting a newer iPad and because I'd saved to the cloud I was able to jump right back into the game. If I hadn't saved to the cloud I would have lost all the stuff I'd earned from the quests and things before my game crashed (at least I think that's what would have happened). During quests/events i try to remember to save after completing that day's tasks or after a long or complicated task. Especially useful with all the hobby-grinding involved in events lately. Long story short - saving to or downloading from the cloud (or doing an uninstall/reinstall) can be scary to think about but they're easy to do and so helpful if something goes wrong. The instructions here on the forum are easy enough to follow that even a semi-computer-literate person like me can feel confident doing them. I now save to the cloud a lot even if I rarely DL from it because then my saved game is there if I need it. Thanks for the info. I do need to try it once since I have the instructions now. I am on Samsung Android and this is my 2nd tablet. About 6 months ago my prior Samsung crashed. 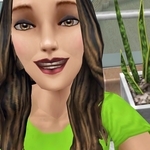 When I bought my new one and loaded the Sims app, singed into Facebook, I was OK. It was maybe a day behind where I had left the game though. whoviandragon wrote: Question, on day 4 it says Make the Special Recipe. What is that going to be made on? Just a regular stove or something with the wizard stuff? It's probably an odd question since it's probably just the stove, but I'm just making sure ahead of time. Ryuzakiryuuga wrote: I already finished this quest by using LPs and it's fine. I just keep getting notifications to continue the quest. Same here with the notifications...you'd think the game recognized that it was already completed.